Ranch Style Home in Crestview Subdivision Mobile AL! 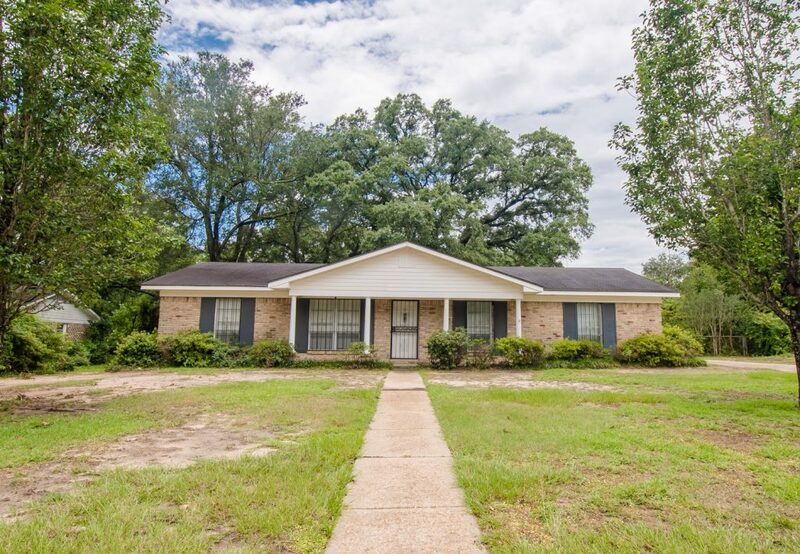 This Ranch Style Home in Crestview Subdivision Mobile AL has so much to offer! 1552 Hillandale Drive is located in West Mobile’s Crestview Subdivision and is super convenient to major shopping and restaurants. You will feel right at home among your neighbors’ beautifully manicured lawns as you drive the winding roads of this established neighborhood. Your massive lot is scattered with mature oak trees that will provide great shade as you enjoy a beverage watching the sunset. With hardwood flooring throughout, your 1800 square foot home offers a spacious front private living room, and separate dining room with huge windows is sizable enough to accommodate large get-togethers! Kitchen features breakfast bar, hardwood cabinetry and some stainless steel appliances. The spotlight on the song is the well-maintained backyard which offers many different entertaining options, from covered front porch with wrought-iron detailing to concrete back patio. The huge double car port offers 2 additional rooms and one half-bath. Your roomy powered storage building/workshop also has large gun safe and backyard is completely fenced in. Tour this Ranch Style Home in Crestview Subdivision Mobile AL with the Jason Will Real Estate Team 251-866-6464!